Jason Castriota on the new Saab 9-3: “It's absolutely vital we get this car right." STOCKHOLM (Bloomberg) -- Jason Castriota, the U.S. designer known for creating the Ferrari P4/5 and Maserati GranTurismo, will head Saab Automobile's design team to help the Swedish carmaker take on BMW and Audi. The first assignment for Castriota's design firm is to create an upscale version of Saab's current 9-3 model, scheduled for release in 2012, the 36-year-old said. Aerodynamics will be a focus of the new design, he said. Saab, sold by General Motors Co. to Dutch supercar maker Spyker Cars NV in February, aims to become profitable by 2012. The turnaround strategy includes releasing premium models more distinct and sporty in their design than when Saab was under GM, according to Spyker CEO Victor Muller. Castriota will play a major role in fashioning the new 9-3 and other models, said Eric Geers, a spokesman for the Trollhaettan, Sweden-based Saab. The 9-3 was first released in 1998. The second generation, still produced today, hit the streets in 2002. The new version intends to challenge BMW's 3-series and the Audi A4, Castriota said. 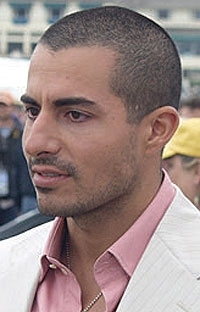 Castriota started his career in 2001 at luxury-car designer Pininfarina S.p.A. in Turin, Italy, where he stayed until 2008. He then worked for Stile Bertone in Italy until September 2009. Last December, he started his own firm, Jason Castriota Designs. The design house has five designers and is based in New York City and Turin. Castriota will become part of the leadership at Saab and will help “define the strategy for the new models,” he said. Saab is also planning to introduce a smaller car with a tear-drop shape inspired by the 92 model that was in production between 1949 and 1956. Saab is in talks with BMW about using its Mini platform, as well as engines and gearboxes, for that model, two people familiar with the situation said last week. “A small premium car from Saab is a very important vehicle and is something that could truly help the overall production volume of Saab in a great way,” Castriota said.